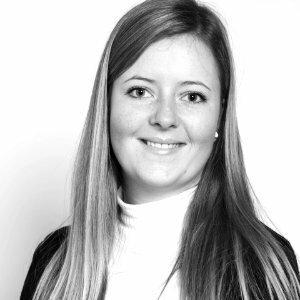 This week marketing specialist Rikke Thomsen of Sleeknote talks us through how to effectively use capture forms to increase your email list. Take note! As you may already know, email marketing is a very effective marketing channel. In fact, it is the most effective of all marketing channels. According to Direct Marketing Association, email marketing has an average ROI of $38 for every $1 spent. Now that we’ve established the importance of email marketing, we need to look at how you generate revenue from it. A crucial factor in email marketing is the email list. As you’ve probably heard: The value is in the list! Building an email list can be done in many ways, but the most effective and simply best way is through lead capture forms. What Are Lead Capture Forms? They pop up on your visitor’s screen, blocking the content and shows a message. The popup forces your visitors to take action before they can continue browsing your site. However, popups are not the only type of lead capture form you can use. The lesser known, but equally effective slide-in, slides in from the bottom of the page with a message, and sits in the corner of the screen instead of the middle of the screen as you can see in this example from B&O play’s website. The advantage of using a slide-in is that it allows your visitor to keep browsing the page without having to close it down. The slide-in is less intrusive than a popup because it doesn’t block the content on the screen, and your visitors do not have to take action immediately. Both the popup and the slide-in work because they present every single visitor with the possibility of signing up. When you collect your leads directly from your own site, you build an email list of much higher quality and relevance than you would if you got your leads elsewhere. The purpose of email marketing, is to convert the people on your list into customers. The visitors on your website have already shown an interest in your business and your product by entering your site, so your chances of converting them into email leads, and then customers, are much higher. 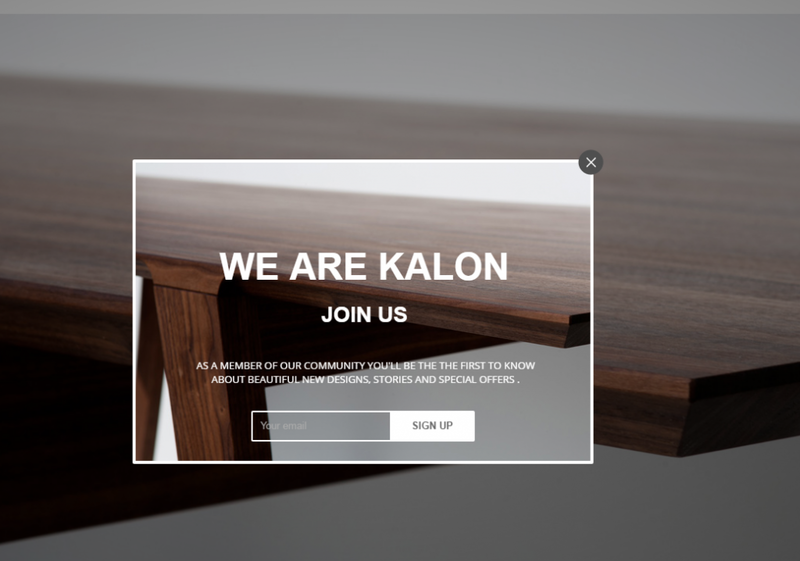 Many websites have a signup form on their page where visitors can sign up for a newsletter. The problem with these signup forms, is that they can easily be ignored or overlooked. This is the signup form we have on our blog at Sleeknote. Visitors have to actively look for the form, and make a decision to sign up on their own without an incentive, which does not result in a great conversion rate. I’m not telling you to discard your signup forms, as they do convert some of your visitors, however, by having both a signup form and lead capture forms, you can increase your conversion rate significantly. Approximately 98% of your visitors leave your site without converting into either a newsletter subscriber, or a customer. With lead capture forms, you can convert about 2-4% of those 98% which may not sound like a lot, but if you have 100,000 visitors a month then that’s a lot of potential revenue. No matter what type of lead capture form you decide to use, there are a few things you should consider. The first is the timing of your form. You don’t want your form to appear the moment a visitor enters your site. It’s a quite aggressive move, and most people will either close it down immediately or leave your site. Wait until your visitors have had a chance to see what you have to offer and what type of business you have. It usually takes less than 10 seconds for a person to form a first-hand impression of something. I would recommend setting your timer to 7 seconds, as this allows your visitor to get a feel of your site, but doesn’t leave enough time for them to exit before seeing your form. You can also set other types of triggers such as a scroll trigger that triggers your forms based on how much of a page a visitor has scrolled. 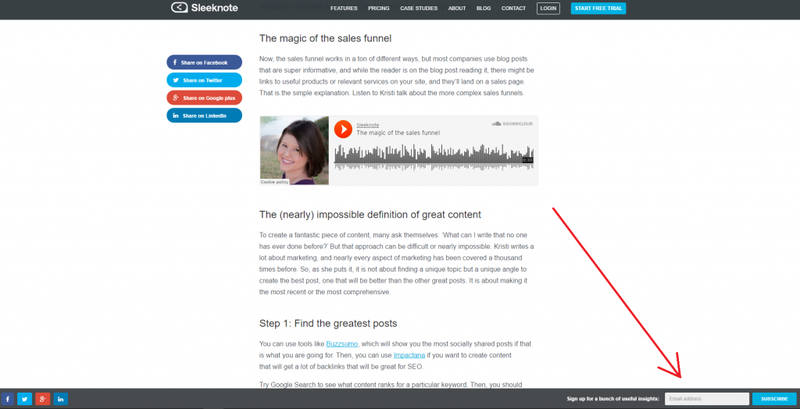 Setting your scroll trigger to around 75% ensures that your visitor has read enough of your content to be interested. Here it would be optimum to present your visitor with an offer relevant to the page they’ve been scrolling as it will increase your chances of converting them. Lastly, I want to emphasize the effectiveness of an exit-intent trigger. The exit-intent trigger shows your form the moment your visitors are about to leave your site. You exit-intent form should always be a popup. Your visitors are about to leave your site, and it is important to catch their attention, and encourage them to either convert or re-engage with your site. As you can see, Cocomi tries to convert their visitors into email subscribers with a 10% discount on their first purchase. This way they offer value to their visitors, while getting their email address along with an incentive to become paying customers. The best way to convert your visitors is by offering them some type of value in exchange for their email address. You won’t get many signups if you just ask people to signup for your newsletter because it’s awesome. Get your visitors excited about your offer. It’s much more about how you communicate the value rather than what you are actually offering them. A great example can be found on Cruise Guru’s website. 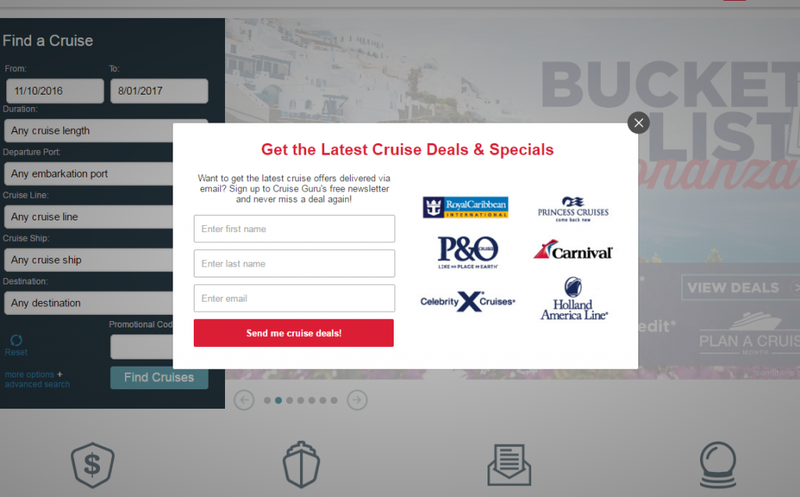 Cruise Guru convinces their visitors to signup by using the fear of missing out approach. The focus isn’t on the newsletter itself, it’s more on the great cruise deals you will miss out on if you don’t subscribe. This approach works, because people automatically don’t want to miss out on anything. These visitors might not be on the lookout to buy a cruise right now, but the possibility of getting a great offer that could result in a cruise vacation sounds too good to miss out on. 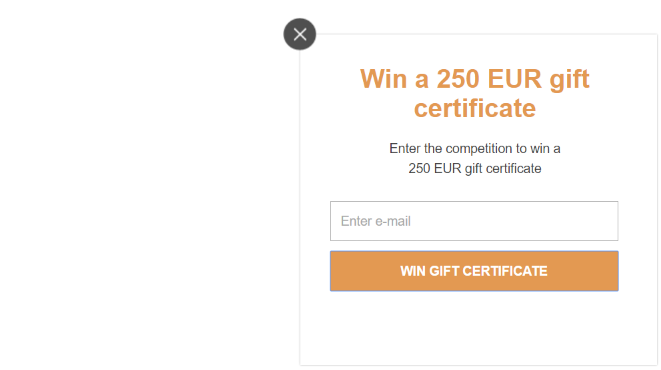 Another way to convert your visitors is by using competitions. Offer your visitors a chance to win something like Eva Solo does on their website. People love free stuff, and the chance to win an exclusive item will only increase the number of signups you get. It’s all about the value, and giving your email address for a chance to win something, is a small price to pay. 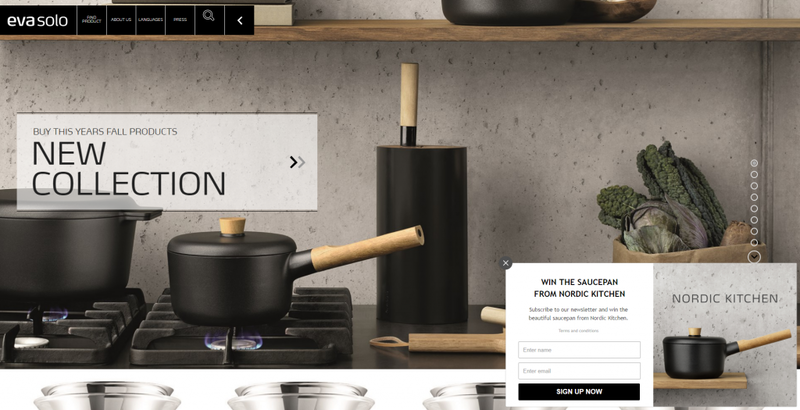 What is great about this particular form, is that it also draws attention to a new collection of pans and pots they have launched. 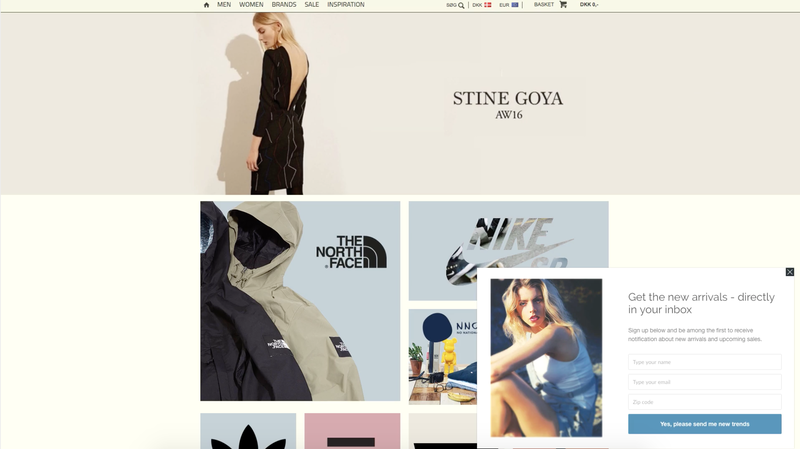 This could potentially lead more visitors onto the page with the new collection where they might decide to buy something. Now you’ve seen a number of different newsletter forms with different incentives to get people to sign up. However, there are other ways to convert your visitors into leads, than making them sign up for your newsletter. The first one is the contact form. A contact form encourages your visitors to get in touch with you regarding your website and your products. 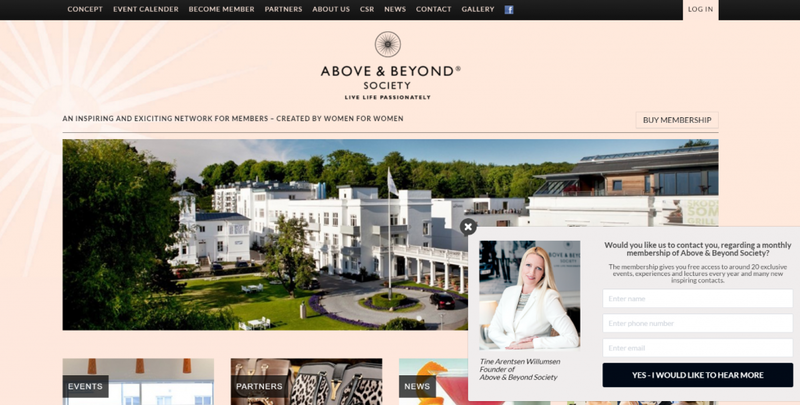 This contact form from Above & Beyond Society gives visitors a chance to get in touch with the Above & Beyond Society where they can hear more about the society and how to become a member. Contact forms are also great to use, when you want to enable visitors to request specific product information, or ask general questions that they can’t find an answer to on your website. Contact forms can relieve some of the pressure on your customer service, because you provide visitors with the chance to get in touch right on your website at the moment they need it, plus you ask for their email address so you can get in touch with them, and then you have another lead on your email list. As you’ve probably noticed, most of the lead capture form examples I’ve shown you so far, have included images or pictures. This is not a coincidence. Lead capture forms with images simply convert more than those without images. We as humans, are very visual beings, and you know the phrase: A photo says more than a thousand words. These two forms are identical except for the fact that one has an image on it and the other one doesn’t. Guess which one has the highest conversion rate? Yup – you guessed it! The one without the image has a conversion rate of 3,1%, while the one with the image has a conversion rate of 5,1%. This is a 64,5% increase, just by adding an image. Your images and pictures should always be relevant to the content of your form. Don’t just add random images to them. The images should be used to enhance your offer and show visitors examples of what they get when they sign up. 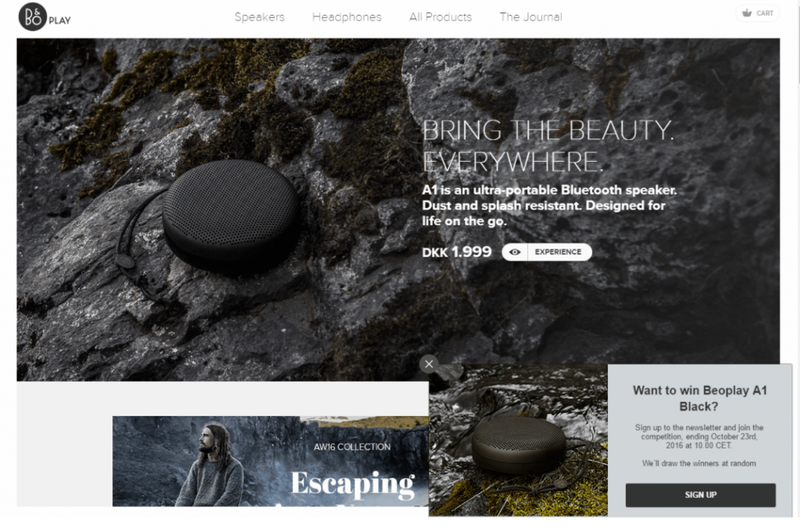 In the above example, the image is a product from the website. 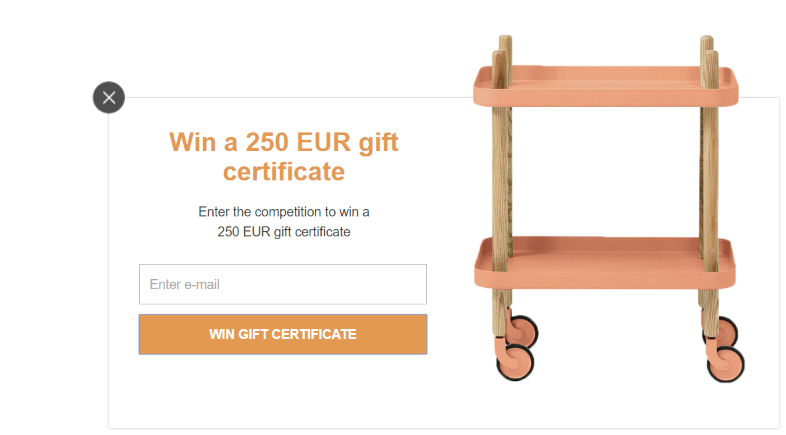 As the content of the form is a competition to win a gift certificate, putting an image with a product you could potentially buy with the gift certificate, is a great way of convincing visitors to enter the competition. If you offer exclusive deals on specific products or giveaways, put an image of that specific product on your form. Input Fields – How Many? The input fields in your forms are where your visitors enter whichever information you want them to. The most important input field in regards to list building, is of course the one where you ask for the visitors email address. Don’t ever forget that one. It’s important that you limit your input fields to one or two. People are always busy, and it shouldn’t take more than a few seconds for them to sign up, otherwise they will just give up and move on. Every time you want to add an input field, you need to ask yourself if that information is really necessary in order for you to get value from your subscribers. The answer will almost always be no. Every time you add an input field to your form, your conversion rate decreases by 50%. Remember that you can always send an email where you ask for more information if you need it for later use. I hope this post gave you a better understanding of lead capture forms and the many ways in which they can be used. Whether you go with a popup or a slide-in, I’m positive that you’ll see great results once you’ve added one to your website. Follow these guidelines and you’ll be well on your way to become a pro lead capturer.